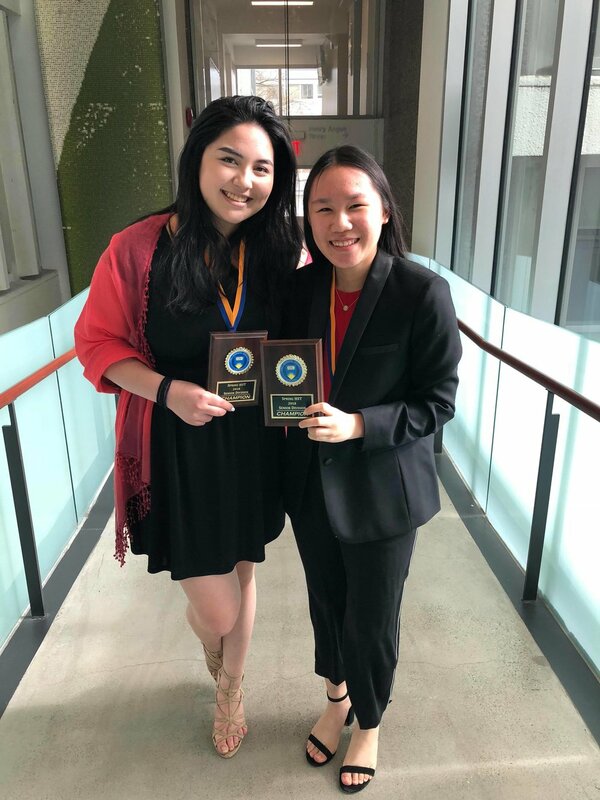 After a long weekend of debate at UBC at the annual Spring High School Tournament, FDT's very own Grace Lee along with one of our instructors, Jacqueline Belzberg, were crowned Senior champions! In the senior category, we had many of our students win speaker awards. Congratulations to Bobo Wong who took 10th place, Judy Rhee who was 6th place, Grace Lee who was 3rd place, and Jacqueline Belzberg who was 2nd. In the Junior Division, Katherine Feng and Eric Li made it to the Junior Finals, placing as the 2nd place team overall. Furthermore, Caitlin Mah and Jewel Cao from Crofton House were the 4th place Junior team and Michael Wu and Peter Zhang placed 5th overall. In the speaker ranking, Caitlin Mah was the top Junior speaker, Alison Lee came in 4th, Katherine Feng was 5th, Eric Li was 7th and Angela Lu was 9th overall. Moreover congratulations to Emma Cont who was the 8th place novice speaker!